Welcome Madeline, 10 days new in the studio in Augusta, Maine! What a beautiful little girl she is! This momma was a first time mother and it was their first time having professional pictures so what a treat this was. Baby Madeline was a joy the whole way through her session, she was awake and alert and did not sleep like many newborns no, she was awake and taking everything in. It was a delight to see those beautiful eyes gleaming with happiness. As a baby photographer in Maine it is always a pleasure to have new moms come into the studio with their new little babies and see how happy they are. All new moms are happy but there is always a different look with mothers who are experiencing it all for the very first time. It can often be nerve wrecking for them as well to come into the studio and hand their new baby to the photographer, as new moms there is always the sense of protection because you never know what to expect (where as mothers who have already had children already have a general idea, and have been through all the new stuff.). This momma was actively involved every step of the way through her babies newborn pictures and I can tell she started to relax and get more and more excited about the images to come. My favorite part of newborn sessions is when I take a picture of my clients beautiful new baby and show them the picture on the back of the camera. The reason this is my favorite is because I can see an instant emotional reaction. 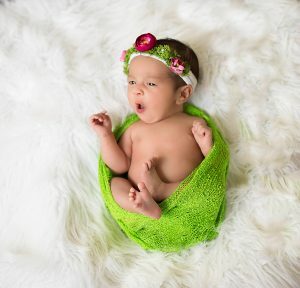 Most of the time my clients stay in the room and help with the experience of doing their child’s newborn photos, they see what I do, how I do it, and often help, and many of the times I hear them say “aw! I bet that is going to be so cute” but when they see the image on the back of the camera they are always surprised, it makes me happy to see them happy. This mother had so many emotions at her daughters newborn session and it was a pleasure to have her there hands involved and seeing her gush at the camera after almost every picture. Madeline was a dream baby, eyes wide open, smile on her face, she had the look that she will change the world. I can’t wait to see what the future has in store for this little one. That last little smirk! So adorable.! 🙂 I know it makes me swoon. What a precious one! 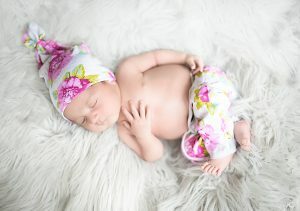 Gorgeous newborn pictures! 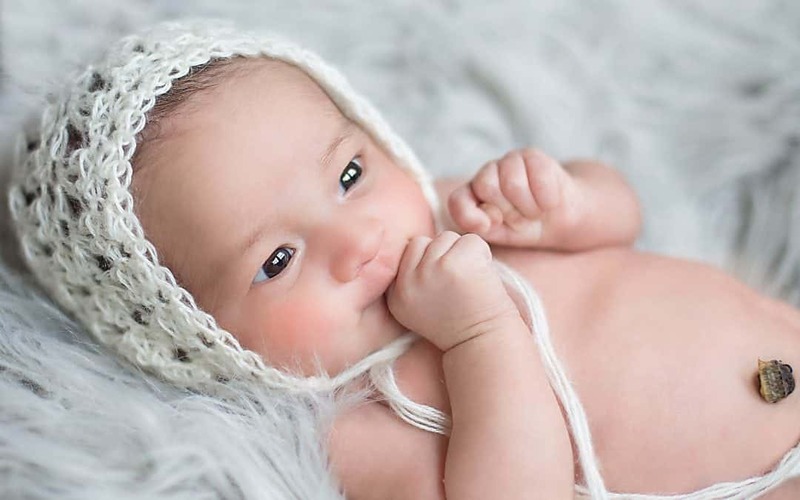 Great newborn images! Love to hear that mom is so happy with them already. Awake shots are the best ! Deanna, I agree! Sometimes these are the most fun when you just go with the flow. I always love sharing an image from the back of my camera too. It’s so nice to be able to share that moment with the parents. 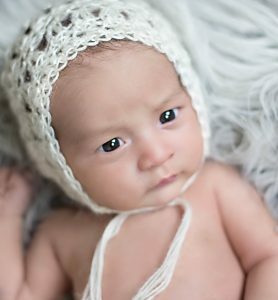 And I love that cute little bonnet! Thank you Jessica! Yes, I always love sharing off the back of the camera and seeing parents instant reaction.